2016 D1 5TH RUNNER UP JR PEEWEE IN NATIONALS, D1 PENINSULA POP WARNER CHAMPIONS!!! Our vision here at the West Bay Rams organization is simple. STUDENT, ATHLETE, in that exact order. We are committed to excellence and teach valuable discipline that will help them on the football field, in the home and most importantly in the classroom. Academics and athletics go hand-in-hand in developing well rounded young men. We teach the fundamentals of football while inspiring youth, regardless of race, creed, religion or national origin. 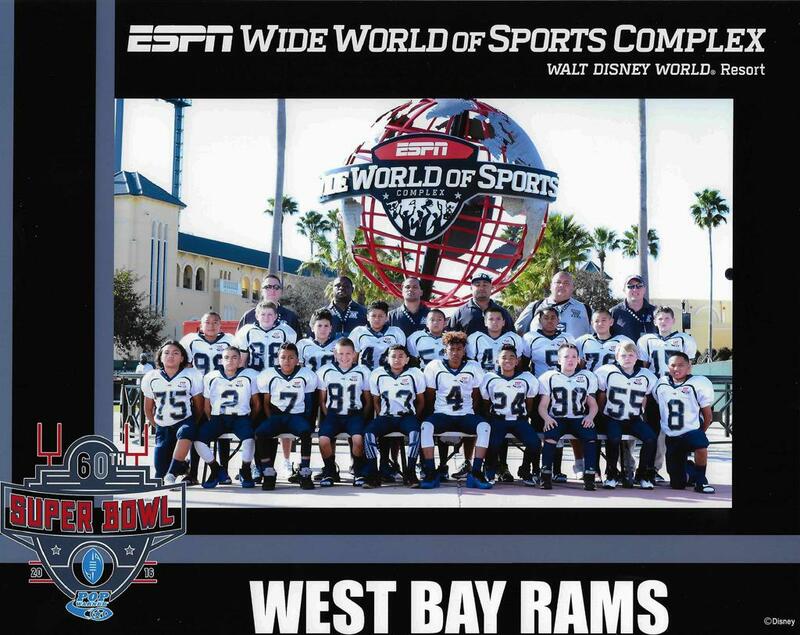 The fond memories of this truly unique experience will remain with out children far beyond their playing days with the West Bay Rams. JOIN US FOR ANOTHER MEMORABLE SEASON IN 2018!!! We are looking for sponsors for the 2018 Season. Are you looking for a way to grow your business? Want to let the community know about products and services you offer? We offer vendor spaces, sponsorship packages, website, display banners and even game day announcements. Contact our Fundraising Team at westbayramsinfo@gmail.com and see your business soar. 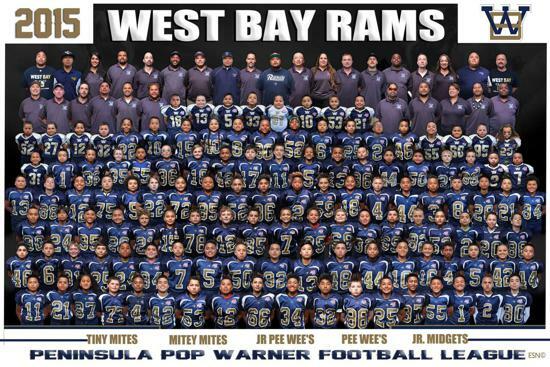 ©2019 West Bay Rams / SportsEngine. All Rights Reserved.